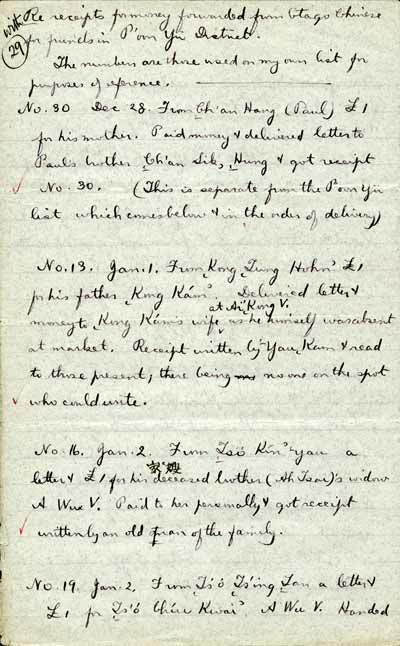 This is the first page of a letter written by a missionary in China in the 19th century. It records receipts for money forwarded by Chinese gold miners in New Zealand to their friends and relatives in the P’oon Yu district in Kwantung (Guangdong) Province, South China. Some of the entries are annotated in Chinese characters.